Abstract: Celcom staged a ground campaign for its newly developed product—Magic Sim. This activation campaign was held in June this year, which lasted for 11 solid days from 1 June to 11 June. 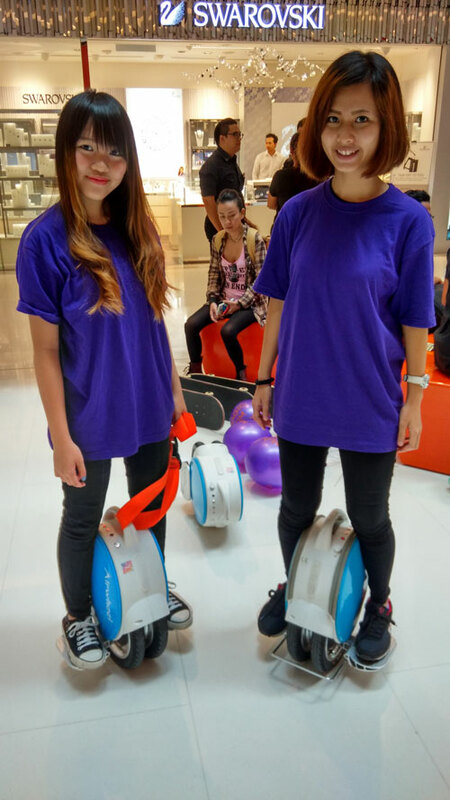 Celcom staff rode Airwheel Q5 in the street to promote its Magic Sim, increasing the awareness of the new product a lot. 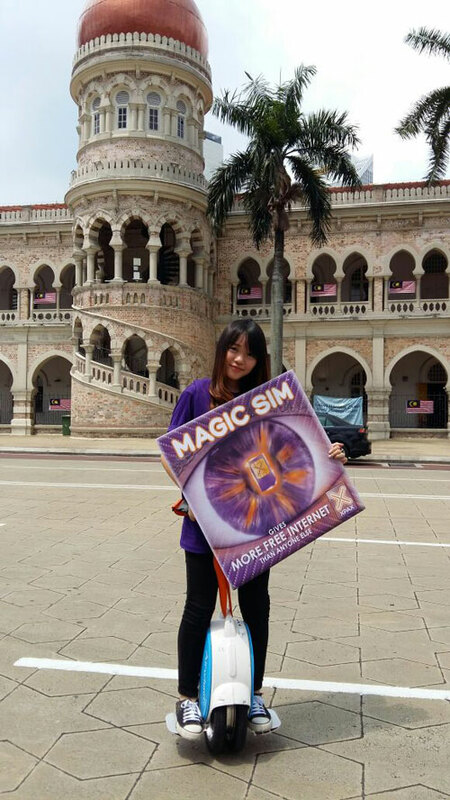 Celcom, one of the largest Telco in Malaysia, staged a ground campaign for its newly developed product—Magic Sim. This activation campaign was held in Klang Valley in June this year, which lasted for 11 solid days from 1 June to 11 June. There is a stereotype that the promotion of ground campaign in the street is carried out no more than beneath the awning or cycling with flags or banners. Telco ground campaign broke this stereotype by riding Airwheel self-balancing scooter Q5 in the streets and lanes of Klang Valley. The intelligent self-balancing scooter was in vogue in local city. Riding Airwheel Q5 successfully drew attentions from pedestrians, further facilitating the promotion of Telco Magic Sim. The local Airwheel distributor eRoda Edge Sdn Bhd supplied Q5 for Telco ground campaign, creating a new mode of ground campaign. Airwheel Q5 is quite compact and highly portable, so riders can easily weaving through the crowed traffic and thread their way through lanes. The twin-wheeled structure makes for ease of use. As a result, Airwheel Q5 gains widespread acceptance and becomes rather popular with the young, even the middle-aged. Malaysia is an important target market of Airwheel. Since Airwheel penetrated the Malaysian market, the local Airwheel electric scooter distributor has been beefing up its promotion countrywide, with a roaring success. Apart from Q5, other models of Airwheel, e.g. X3, S5 and A3 is catching on. This time, the innovative application of Airwheel Q5 to activation campaign of Magic Sim would inspire more usages of Airwheel products. The Malaysia market of Airwheel showed a sign of thriving once again.